Martin ELP WW (Warm White) LED ellipsoid fixtures deliver the class-leading luminance, output and high CRI that you’ve come to expect from Martin. 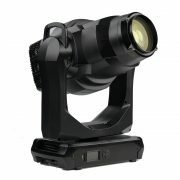 Ergonomic Danish engineering offers advances in lighting functionality that include the highly efficient gear-based Fine Focus—an industry first; and Fast Focus which allows focusing of the fixture without data flowing to it. ELP also offers 16-bit dimming with 4 selectable curves. 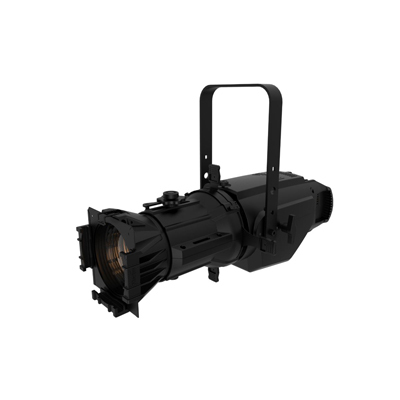 ELP fixtures can be configured with one of four Martin lens tubes in 19, 26, 36 and 50-degree beam angles and are compatible with third-party lens tubes along with a wide range of accessories including gel frames and gobos for flexibility in lighting design and inventory management. 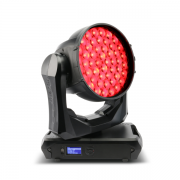 Superior output, optics and colour rendering, combined with unparalleled ease-of-use and convenience, make Martin ELP WW the leading Warm White LED ellipsoidal fixture in its class. Impressive light output rating of 7,000 lumens at 3000K. Industry-leading CRI rating of 97. Revolutionary focus and functionality—industry’s first gear-driven Fine Focus, Fast Focus for data-free focusing, and more.